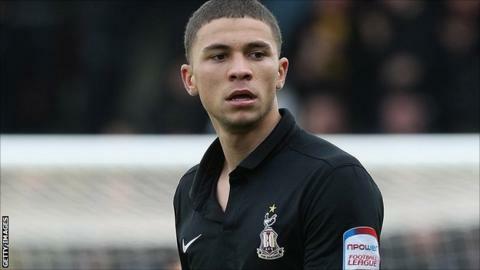 Dagenham & Redbridge hung on to all three points despite a second-half brace from Nahki Wells in a thrilling encounter against Bradford. The Daggers were cruising when Luke Wilkinson headed in to make it 3-0 on 51 minutes, after Billy Bingham's tidy finish and Michael Spillane's strike. But Wells' powered shot and converted penalty gave Bradford hope. Dwight Gayle restored the Daggers' two-goal cushion, but Alan Connell's late effort ensured a frantic finale.